More than 30,000 letters, cards and parcels arrive at Santa’s Main Post Office each day during the Christmas season. Do you ever wonder where all those letters that children write to Santa Claus wind up? 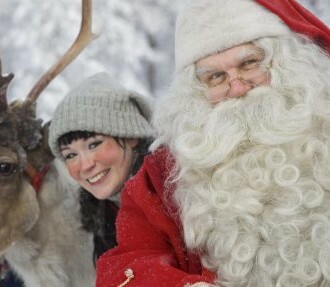 In Finnish Lapland, of course, at Santa’s Main Post Office – and right next door, you can meet Santa himself. We pay him a visit. 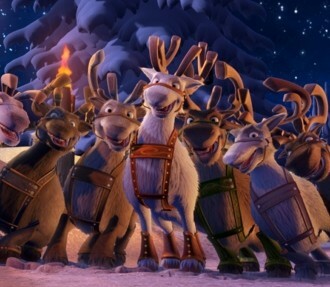 On the Arctic Circle, at 66.5 degrees north latitude, Santa Claus runs his very own post office with the help of his elves. 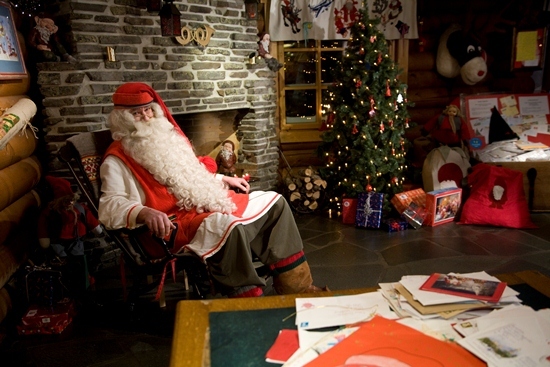 Located outside the city of Rovaniemi in Finnish Lapland, Santa’s Main Post Office forms a logistics centre for the more than half a million cards, letters and packages he receives each Christmas. He gets more than 30,000 a day during the holiday season. 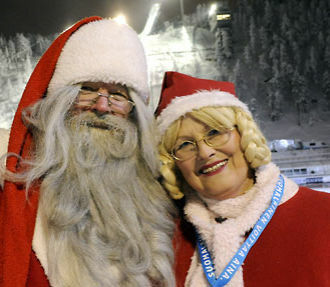 As everyone knows, Santa Claus makes his home farther north in Finland, on a mountain called Korvatunturi. 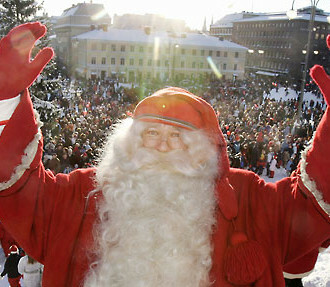 However, his special magic also allows him to be in Rovaniemi much of the time, all year round, for people to meet him. Letters to Santa Claus form an important part of Christmas preparations for many Finnish children, especially the smaller ones, but it’s not limited to a certain age group. The letter to Santa represents a genre unto itself, with subgenres ranging from messages from kids who have just learned to write (“Dad, how do you spell ‘Santa Claus’?”) to longer compositions by somewhat older children. Although the specific content of the letters Santa receives is of course confidential, our elf sources tell us that subjects often range beyond the obvious holiday gift wishlists. Writers trust Santa with their thoughts about life and whatever troubles the world is experiencing at the time of writing, and some also ask for advice. Our contacts among the elves also say that grown-ups, not just kids, are interested in Santa. People of all ages write to extend holiday greetings or to express profound wishes that go beyond Christmas presents, such as world peace. On a lighter note, if you visit Santa’s Main Post Office you will find out that a great many toddlers have – at the suggestion of their parents, no doubt – sent their soothers (also known as “pacifiers” or “dummies”) to Santa Claus as a sign that they have outgrown them. Something about Santa strikes a chord that is appreciated by people of all nationalities – he has received mail from 198 different countries to date. Perhaps because of this, he and his elves form an impressively multilingual bunch. Santa’s Main Post Office makes up part of a cluster of buildings known as Santa Claus Village. The Arctic Circle cuts through the middle – it is painted onto the pavement. One building houses Santa’s “office.” You enter through a vaulted room where a giant pendulum swings back and forth. Labelled “Earth’s Rotational Speed Regulator,” this enormous piece of clockwork gives you an impression of the magic and mystery Santa draws upon in order to get around the globe and deliver billions of presents on a tight deadline. Upstairs, elves usher you into a chamber and – there he is, Santa himself, with a long white beard, looking just like he does in all the pictures. He greets the kids and gives the grown-ups a hearty Finnish handshake. When the author of this article visited with a group consisting of about 20 people from as many different countries, Santa chatted with us in a wide variety of languages. You don’t need Santa’s magical insight to figure out that everyone who passes through will want a photo opportunity. A photographer elf snaps away, immortalising the moment. They even have a live webcam so anyone can take a peek as Santa receives guests. No matter what time of year visitors arrive to see Santa and his post office, he and his elves are bound to fill their hearts with genuine, long-lasting Christmas spirit. That’s what it’s all about.